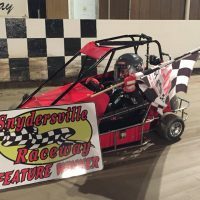 Two young racers made their racing debut at Snydersville both at the age of 5. 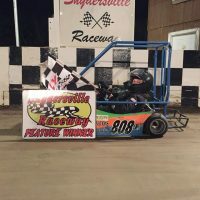 In practice, they had some confusion on which way to drive on the track, but they figured it out and began their first season well. 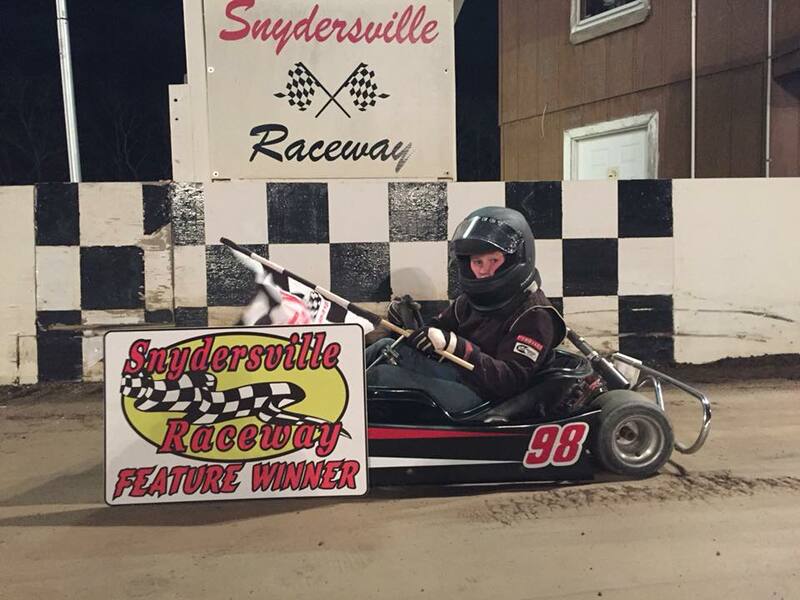 Wyatt Troyer Fink took the pole position in the Kid Kart feature followed by Jackson Shrewsburg. 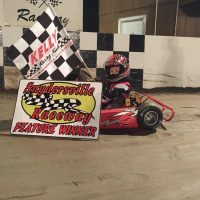 This was the first feature race for the two competitors in their young racing career. 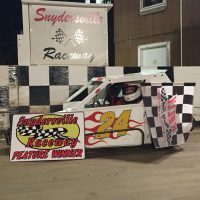 They had an exciting first feature for the rookies as they ran 12 laps around the bullring. Fink lead much of the race but suffered a motor issue which cause him to give up the lead and win to Jackson Shrewsburg. 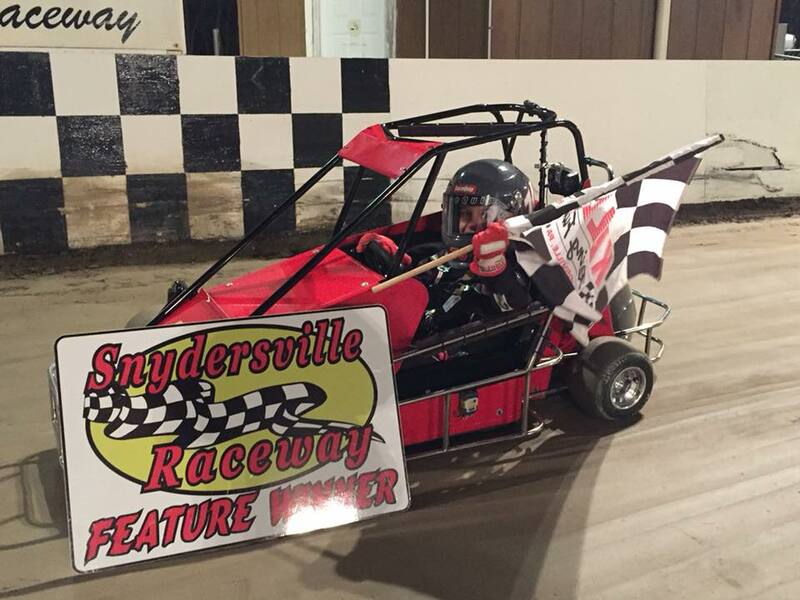 Wyatt Troyer Fink took home second. 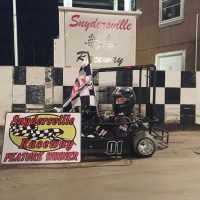 The second feature race of the evening, the Jr. Sportsman Champs, began with Brandon Walsh leading the field down to green in the four-kart field. Going through turn one Griffin Hendershot retired early after the first lap and did not finish the feature race. A battle for second place developed as it went back and forth between Cristofer Buehl and Ian McGuire with Brandon Walsh walking away from the two. Ian picked up a lot of speed pulling into second-place passing Buehl halfway through the race. 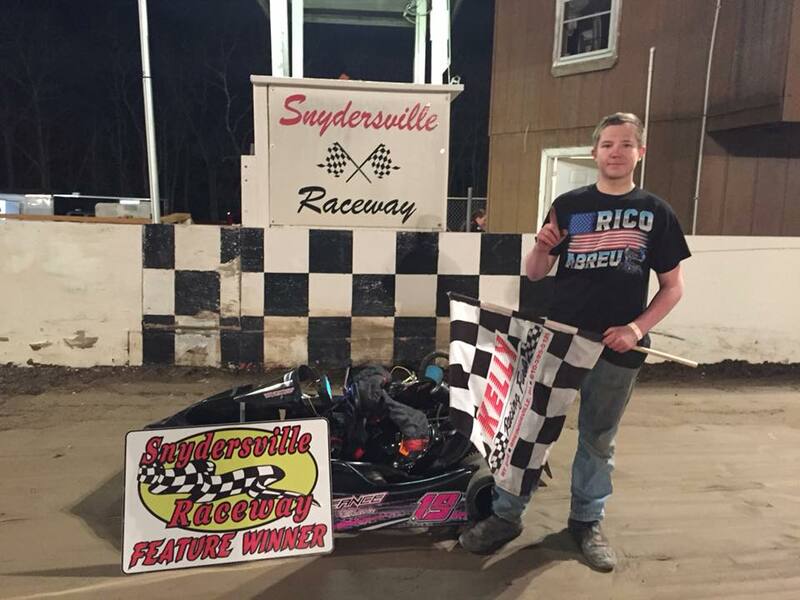 After 15 laps, Brandon Walsh kept the kart off the bumps and ruts to take home his first win of the season, followed by Ian McGuire in second, Cristofer Buehl rounded off the podium in third, and Griffin Hendershot parking it in the infield in fourth. The Briggs Stock Heavy division put on an exciting race from Green to Checkered. An immediate battle for the race lead between Matthew Rodenbach and Brian Nelson lead to Nelson taking the lead over Rodenbach for the first few laps of the feature race. It was not long until Rodenbach caught back up to Nelson and passed him for the race lead. 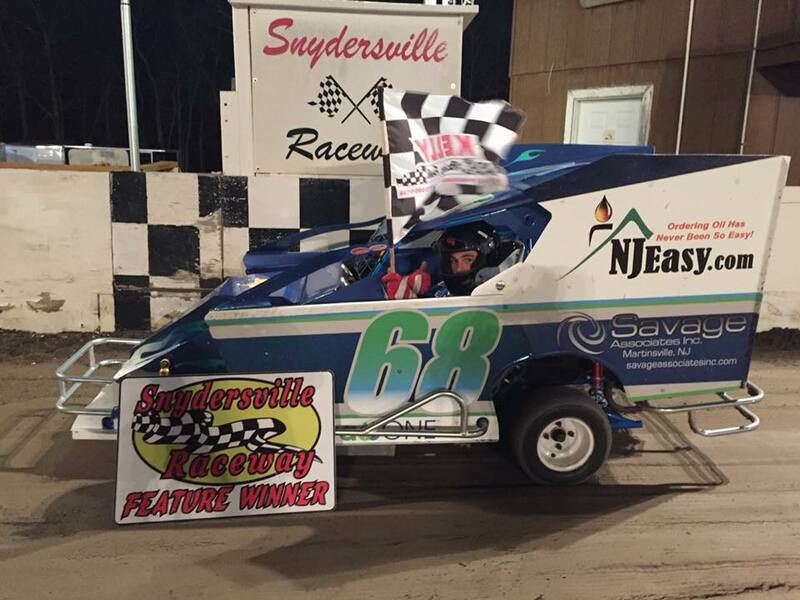 Matthew Rodenbach held the lead and took home the feature win followed by Brian Nelson in second. Winner of the Jr. Restricted Feature was Blaze Croop. 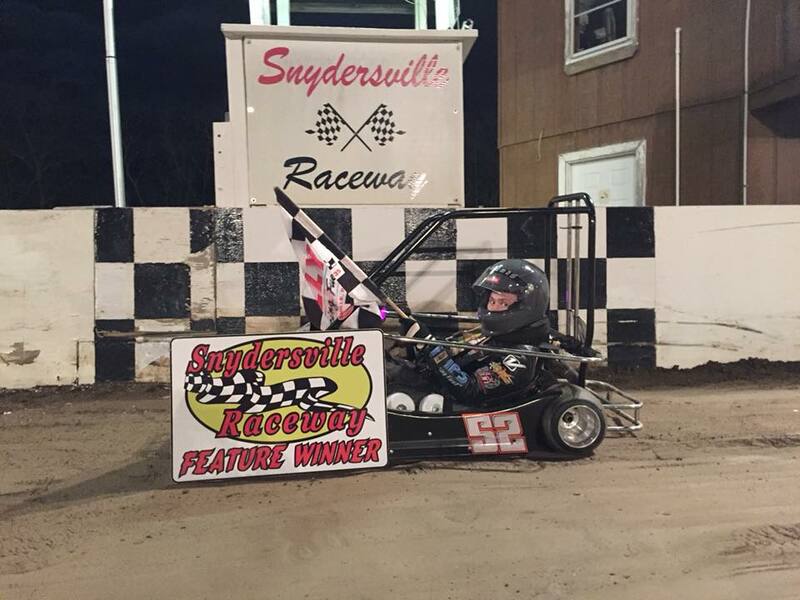 Jacob Bierman picked up the win for the Honda 120 Quarter Midgets with Peyton Knecht taking second. 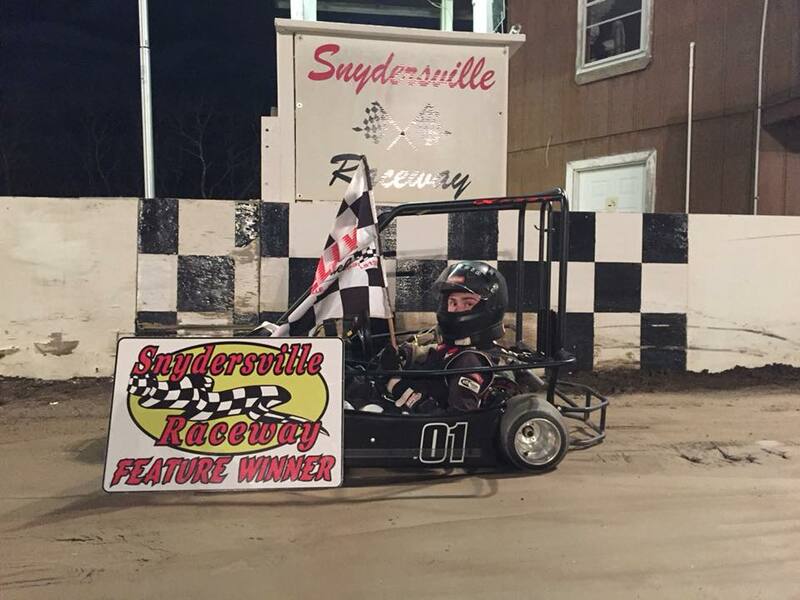 The Jr. Slingshots put an exciting race on as the three rookies wheeled around the bullring. The race began with Jacob Taylor and Charlene Benz duking it out early for the lead. The battle for first kept getting intense as Taylor trying hard to keep the lead. However, Benz caught his back bumper and spun him out to bring out a late race caution. It did not take long for Taylor to regain his lead on the restart with Benz following through. 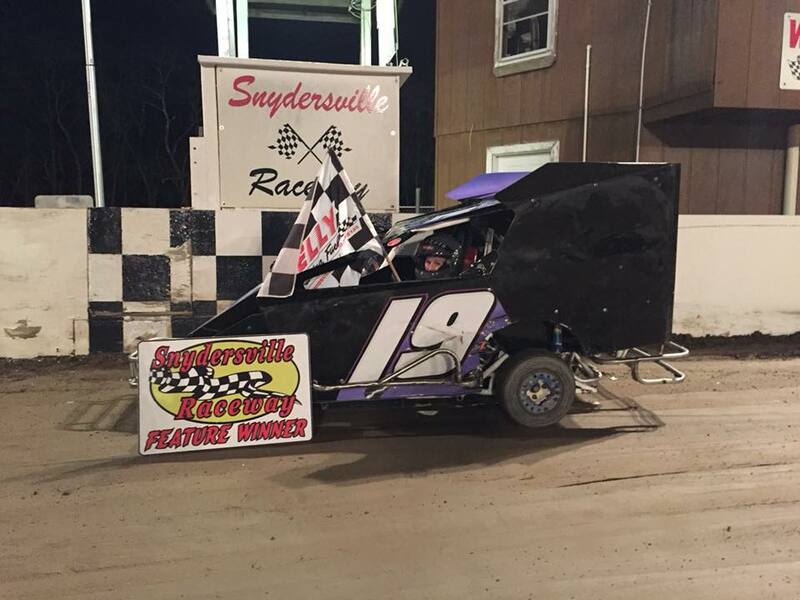 Jacob Taylor kept ahead of Benz and went on to pick up his first career win in racing. 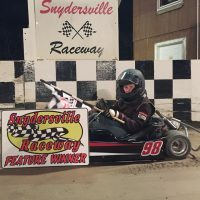 Charlene Benz tried to work her way to the lead but fell short finishing in second and Tuck Cole rounded the field out in third. 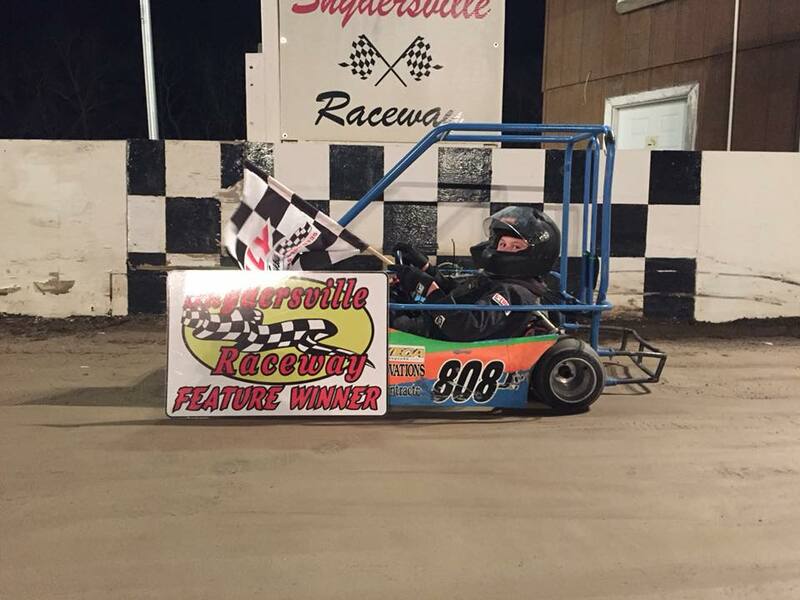 A class that always brings excitement to the track is the Might Microstocks. Four top notch cars put on an exciting feature. Tom Arntz lead the field to the green and immediately went to battle with Defending Champion Steven Frindt and his teammate Dillon Emmons for the race lead. Not long into the race Emmons took the lead bringing Charlie Shaver and Steven Frindt with into second and third, putting Arntz back into the last position. All four cars stayed together one behind the other looking for the golden opportunities to gain some positions. As the race continued Emmons kept studying the different lines in the track and found the perfect line to get farther away from his eager competitors behind him. During that time, Shaver and Frindt battled for second in the final laps with Frindt picking up the spot. 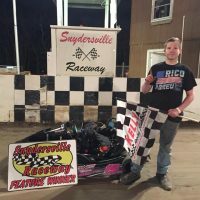 After a rough final half of 2017, Dillon Emmons got the bugs out of the car to bring home the first win of 2018. 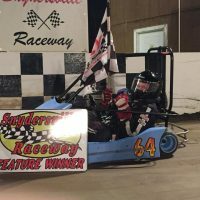 Defending Point Champion Steven Frindt followed in second to Emmons with Charlie Shaver finishing in third, and last years runner up in the Microstocks rounded out the field in fourth. Five cars came to the starting grid for first Sr. Animal Champ race of the season. 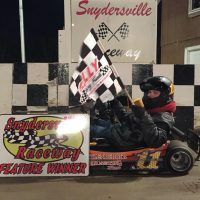 Burris Money Series Standout Andrew Maurer had an exciting heat race as he pulled out the win in a photo finish with Wing Champ Racing Series Standout Steven Rothwein. These two compiled the front row of the feature. As the green fell Maurer wasted no time to take the lead. An early race caution plagued the feature and reset the field. Maurer led the field back to green in a single file restart. Buddy Lord inherited second place, and Rothwein in third. Rothwein and Hunter Metzger duked it for third place on the restart, while Maurer put some distance between him and the rest of the field. 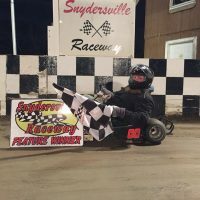 A few more cautions hit the race, but it didn’t phase Maurer and he led every lap to take home the win, Steve Rothwein struggled to find a good line to catch up to Maurer, settling for second. 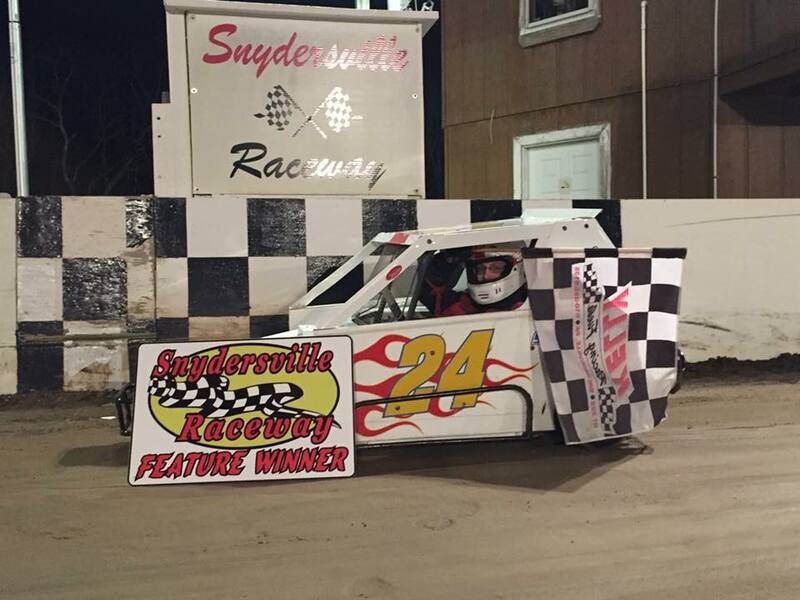 Snydersville Veteran, Buddy Lord, rounded the podium off finishing in third. 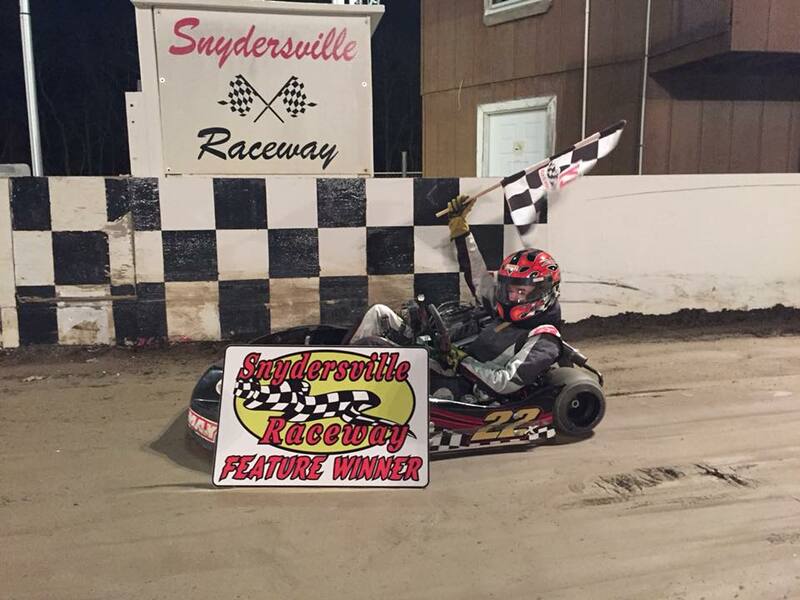 Billy Proctor struggled with his kart to finish fourth, and Hunter Metzger rounded the field out in fifth. 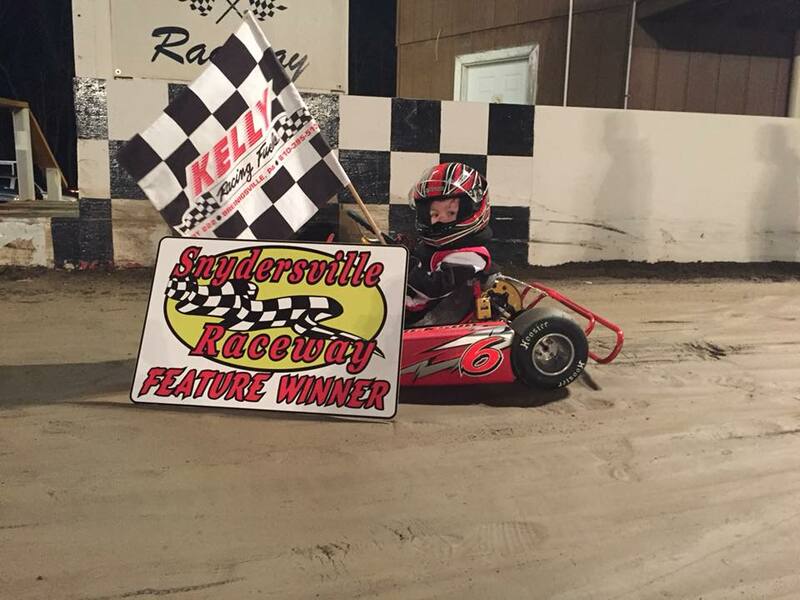 Brandon Walsh brought home the win in the Jr. Sportsman. 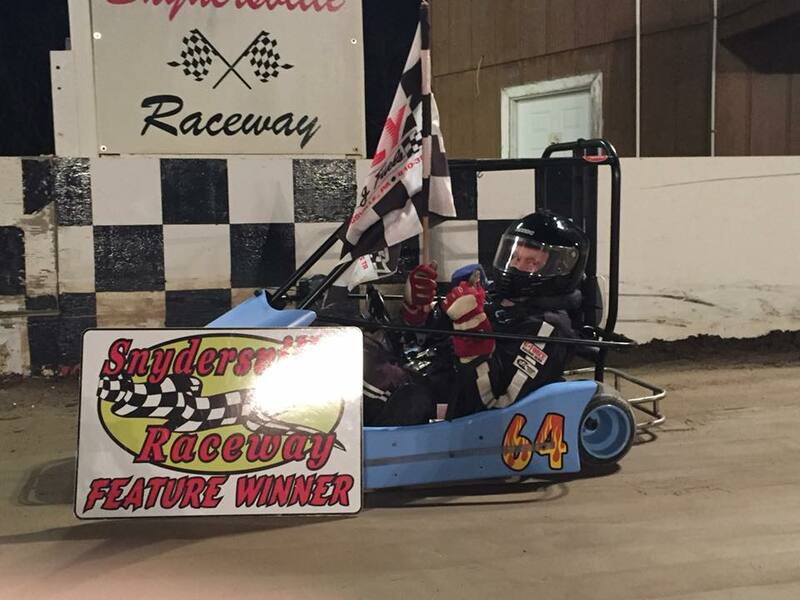 The Sr. Flathead Champ saw many new racers hit the track and they put on an exciting race. 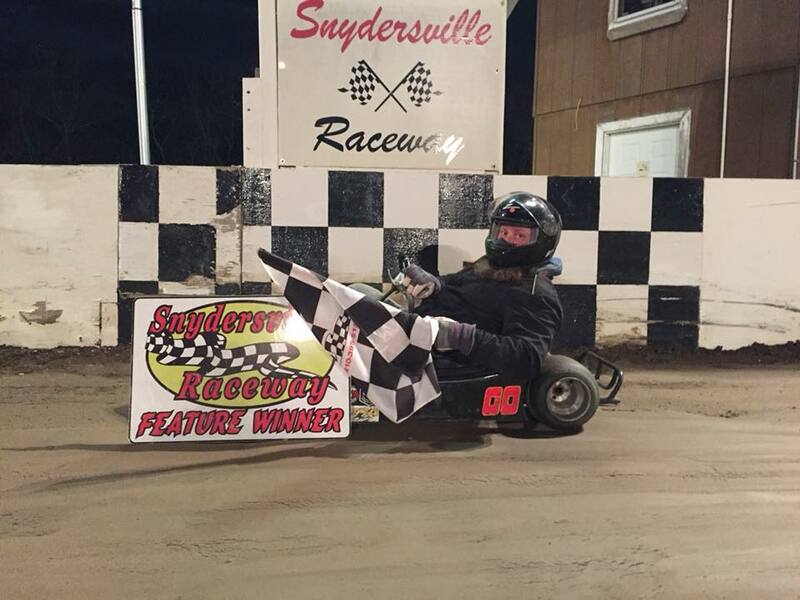 Mr. Bob Wilson lead the start of the Feature with Selinsgrove Speedway Racers, Kruz Kepner and Bryan Krautheim battling for second place. A caution came out after the first couple laps involving Kepner. On the restart, Krautheim was determined to snag the race lead from Wilson. Wilson held on to the lead with Krautheim getting closer and closer to his inside. Krautheim tried different lines on the track to find a way to get the lead but Wilson held on to bring home the race win. Bryan Krautheim finished in the runner up spot in second, John Martinsky rounded out the top three and Ashleigh Fogel took home fourth, and Kruz Kepner did not finish the race, taking fifth. For the second year in a row the Briggs Stock Light division put on an exciting race down to checkered flag. Alex Kolonics lead the field of four to the green flag. Holding his position, Kolonics gained some distance from Chris Hendershot and Zach Evans as they battled for second. Zach Evans then found the fast way around the track picking up some speed to get around Hendershot for second with his eye set on Kolonics. As the laps wound down, Evans reeled in Kolonics. Coming to the checkered flag, Evans dived to the inside of Kolonics off turn four and they drag raced to a photo finish. After confirming with scoring, Alex Kolonics picked up the race win over Zach Evans by 0.009 seconds. 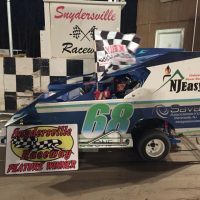 Zach Evan fell very short of the win coming in second, Chris Hendershot took home a top three, and Defending Point Champion Matthew Rodenbach, suffered a motor issue early in the race, forcing him to retire with a fourth-place finish. 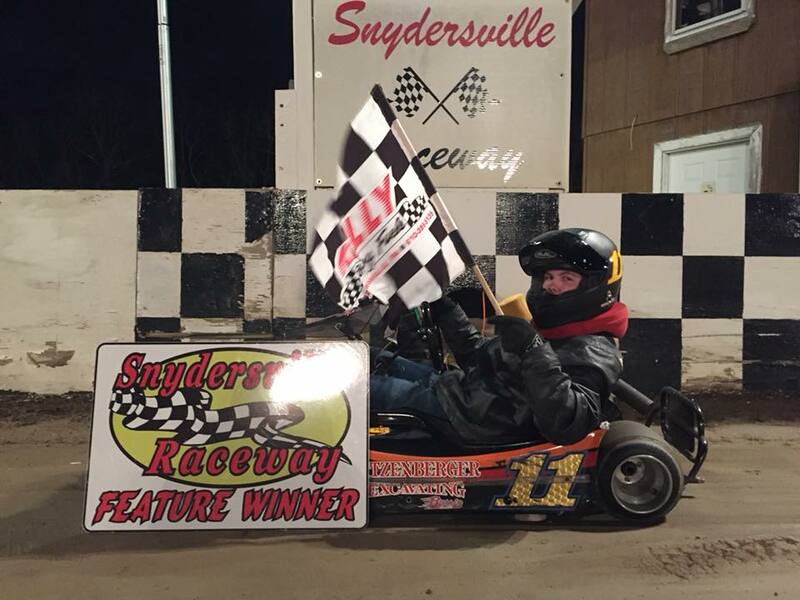 John Maurer picked up the win in the Jr. Restricted Champs over Sammy Martinsky finishing in second. 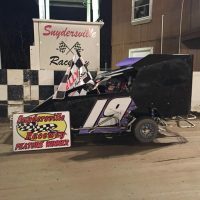 Dave Fetterman found his way back to Victory Lane in the Briggs Super Heavy class over Patrick O’Brien, finishing in second. The final race of the evening, the Sr. Clone Heavy, saw an exciting feature with a four-car field. Kruz Kepner brought the field to the green flag and set sail with the race lead. Jonny Peters made his way from the rear up to second in the first few laps of the feature race. As the race went on Brian Nelson came from the rear after an early race caution started catching Jonny Peters in second. Peters and Nelson battled it out for the runner up spot with Nelson getting the spot. However, time had come and gone for any chance for Nelson to catch the race leader, Kruz Kepner. 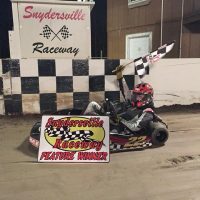 Kepner lead every lap of feature to bring home his first Snydersville Raceway win in Clone Heavy over Brian Nelson coming home in second. 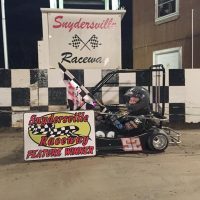 Jonny Peters sawed at the wheel to get around the slick track and brought home a top three, and Lucas Bird rounded the field out in fourth. With Race #1 in the book, the racers now focus on the season ahead and the championships that come at the end of the season. The Track Management would like to Thank everyone for coming out and enduring the weather and track surface. We hope to see you this Friday for a Regular Show plus a $200 to win Briggs Stock Heavy Money Race.